This Pokéfan has amassed 17,127 items of memorabilia from the anime series and now holds the Guinness World Record for the largest collection of Pokémon items. Lisa Courtney loves monsters, but not the sinister, horror movie kind. Instead, she obsesses over the Japanese anime series Pokémon, which is an abbreviation of the original title "Poketto Monsuta," also known as "Pocket Monsters." "I've always loved monsters in TV series and games," she said. "I didn't even care about Mario when I was little. I only played his games if Yoshi was in them, so when Pokémon entered my life, it was everything I could ever want." And Courtney wasn't left wanting. 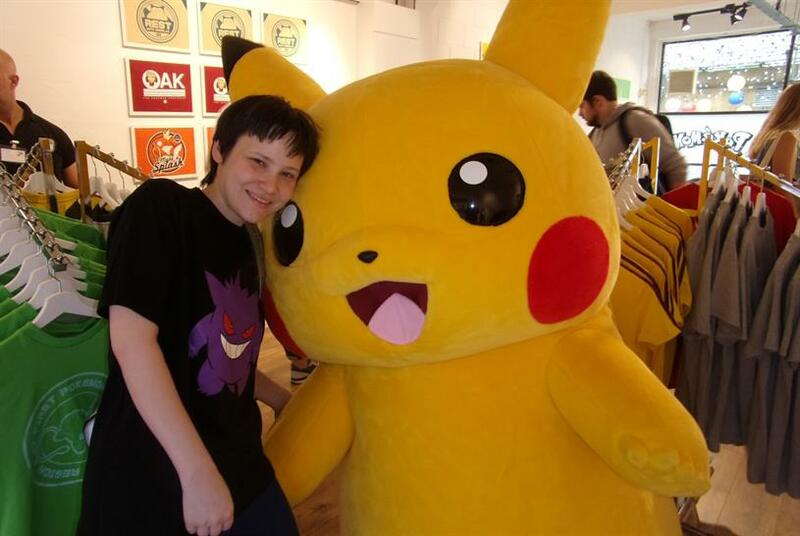 This Pokéfan has amassed so much brand memorabilia that she now holds the Guinness World Record for the largest Pokémon collection at 17,127 items. To Courtney, "the [brand-created] universe is the perfect place for me to travel to when I'm feeling down." How did you first encounter Pokémon? I was looking through a gaming magazine where it advertised Pokémon as the latest series to hit Japan. 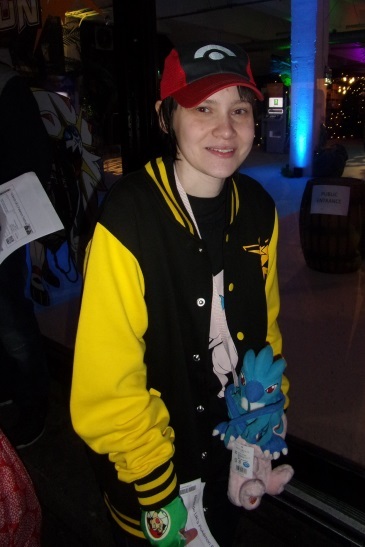 On the spot, I fell in love with Pikachu and started following the series until it finally hit the UK. I still have the magazine picture that I transformed it into a pog using one of those old pog makers. Why do you love Pokémon, and which are your favorite characters? I love them all—cute monsters (Pikachu, Jigglypuff), cool monsters (Blastoise, Charizard), weird monsters (I LOVE Grimer and Muk; where are my fellow fans for these two?). There are so many characters to choose from. I also love the friendship aspect of Pokémon, how you form a bond with your Pokémon through battling and trust is gained gradually between the trainer and Pokémon. Plus, Ash from the show doesn't always win every battle, which is something I like, since every other main character never seems to lose. Ash is the perfect example of never giving up on your dreams. The messages in the series as a whole are certainly ones I can get behind. I know there are loads of different "monster" series out there now, but there's just something about Pokémon designs and the overall atmosphere of the franchise that keeps me hooked. How do you show your love for Pokémon every day? I proudly wear my Pokémon apparel whenever I go out, play Pokémon Go wherever I can. Around the house, I drink from a Pokémon mug. My computer backgrounds are Pokémon—even my mouse and mouse pad have Pokémon designs! What's your coolest piece of Pokémon swag? Ah, this question is always so hard to answer! I would say it's definitely a tie between my giant lottery Ho-Oh plush (1 of only 100 ever made), replica sketch book for the fifth movie (sold exclusively at Pokémon Centers in Japan) or shiny Entei PokéDoll (a prize at Pokémon Centers in Japan). What's the craziest thing you've done for Pokémon ? I flew all the way to Japan just to visit Pokémon Center Tokyo! I've also traveled to France for a day to see the temporary Pokémon Center Paris. What's the nicest thing Pokémon has done for you? Pokémon has helped me overcome my severe social anxiety, and I've made countless friends thanks to the series. I also would never have appeared on television, nor would I have had my image and name featured in countless magazines, including the Official Nintendo Magazine. I have also been interviewed on radio shows and included in a museum exhibition. None of that would've happened if it wasn't for this incredible franchise. If you could change one thing about Pokémon , what would it be? I would definitely make the Pokémon Company International a bit more international. Currently, PokemonCenter.com only ships to the U.S. Fans have been asking the brand for years now to consider shipping to other countries—to the point where it was the most frequently asked question (before the site took the question and the "views" counter off the site, strangely). It would be nice to ship internationally, considering that Pokémon Center Paris sold out of all its merchandise much quicker than expected! The show and games though? Nothing! Are you satisfied with the level of engagement you receive from Pokémon ? If I'm being 100 percent honest, not really. There's very little Pokémon here in the UK, and in terms of merchandise, the vast majority of it is just Pikachu. There are no TCG gatherings around me either, which isn't the fault of anyone, but it's still disappointing nonetheless. 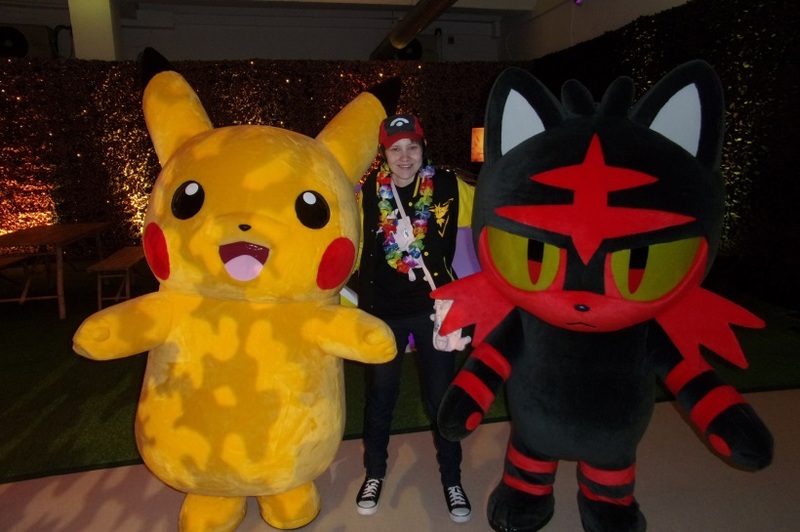 Nintendo did have a launch party for Pokémon Sun and Moon in London though, and it was AMAZING. I would love to see more events like that, even if it was just a yearly thing.